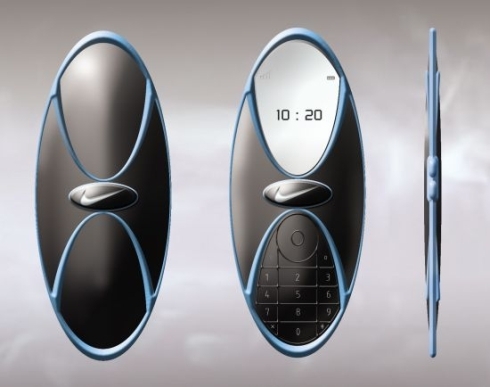 Designer James Caldwell created a very interesting concept phone, the Nike cellphone, a gadget for sporty people. This handset is meant for active users and it comes with functions that allow it to record the user’s heart rate, speed and medical stats while jogging or exercising. The Nike Phone packs a touchscreen display and uses applications created for workout enthusiasts, teaching them how to exercise, lose weight and whatnot. This is quite a slim device, with an elegant and sporty design and colours for all preferences.